The Fender 24 in. 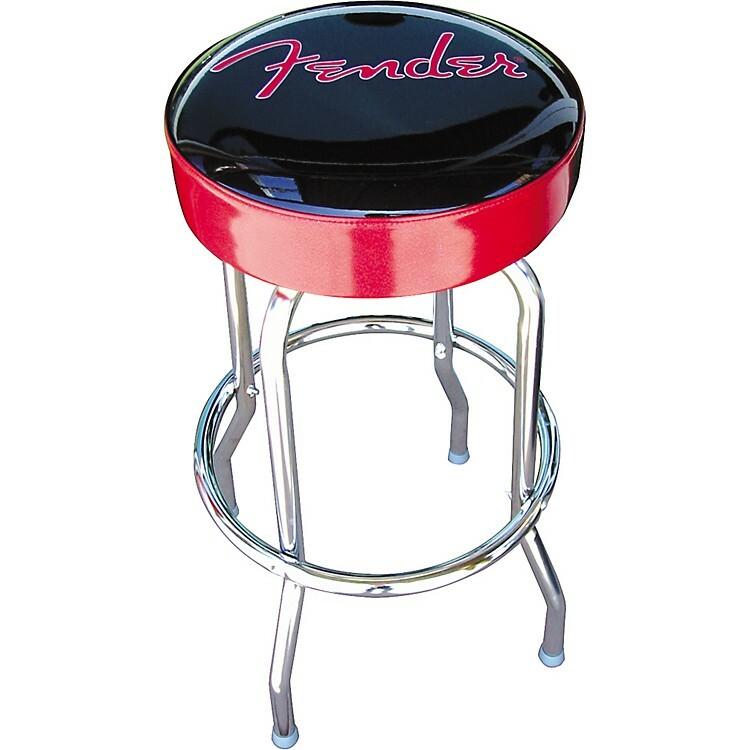 bartool is a classic bar-style stool with rotating, padded top complete with Fender logo. Foot ring provides place to hook your heels. Excellent in the studio or on the gig. 24 in. high. Give your place a facelift with this retro beauty. Order now!